Tim selects and sets up all his instruments himself in his Leicester workshop with the same painstaking attention to detail that he applies to his restoration. Timothy Batchelar was trained by William Luff and Pat Naismith in the Department of Music Technology at the old London College of Furniture. In his second year he won the Violin Making Prize. In his final year (1976) he was awarded the prestigious W.E.Hill & Sons Prize. 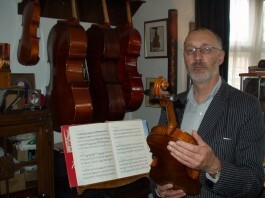 After working for other violin dealers he established his own firm in 1978. He was Visiting Lecturer in Violin Restoration at the London College of Furniture from 1982 to 1987, some of his pupils going on to become successful luthiers themselves, including David Rattray of the Royal Academy. His repair and restoration skills have saved many instruments from oblivion and their owners from despair. We pride ourselves on dealing in violin family instruments from the youngest players of 1/16th size to professional musicians. In 2001 Timothy Batchelar was awarded a Ph.D. for research into the musical instrument industry, and in 2002 he was elected a Fellow of the Institute of Musical Instrument Technology for his contribtution to the industry. Look at Tim's specialist restoration skills. Many Leicestershire players and teachers will remember Tim from when he worked for David Snelling Violins, both in South Wigston in the 1970s and then in Kibworth in the 1980s. 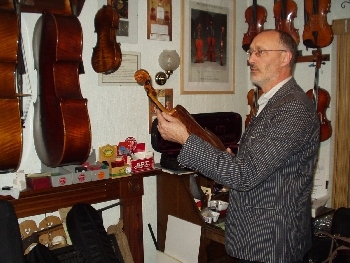 We are proud to uphold the high standards, personal attention to detail and reputation derived from that firm, which had its origins in 1912 when the original owner, Charles Moore, established the business, and it was eventually sold to Sheehan's Music Shop on London Road, who before they closed used to send string customers to Tim. The instruments Tim has repaired, restored, made and supplied to professional musicians, students and children are the true testament to his skills and abilities. People often mispelll Tim's name. It is NOT spelt Batchelor, Bachelor, or Bachelar, but IS spelt BATCHELAR !! 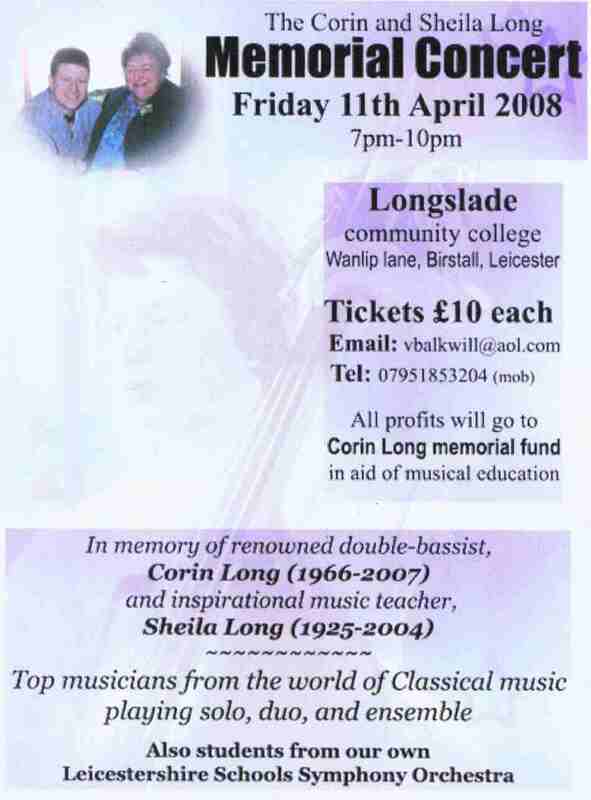 He is known locally as an amateur bassist, and is the principal bass of Oadby and Wigston Civic Orchestra . The tB&scroll & IMIT logos are registered trade marks.